We’d love your help. Let us know what’s wrong with this preview of The Third Secret by Steve Berry. Fatima, Portugal, 1917: The Virgin Mary appears to three peasant children, sharing with them thre Explosive in both its pace and its revelations, The Third Secret is a remarkable international thriller. Bestselling author Steve Berry tackles some of the most controversial ideas of our time in a breakneck journey through the history of the Church and the future of religion. Fatima, Portugal, 1917: The Virgin Mary appears to three peasant children, sharing with them three secrets, two of which are soon revealed to the world. The third secret is sealed away in the Vatican, read only by popes, and not disclosed until the year 2000. When revealed, its quizzical tone and anticlimactic nature leave many faithful wondering if the Church has truly unveiled all of the Virgin Mary's words–or if a message far more important has been left in the shadows. Vatican City, present day: Papal secretary Father Colin Michener is concerned for the Pope. Night after restless night, Pope Clement XV enters the Vatican's Riserva, the special archive open only to popes, where the Church's most clandestine and controversial documents are stored. Though unsure of the details, Michener knows that the Pope's distress stems from the revelations of Fatima. Equally concerned, but not out of any sense of compassion, is Alberto Cardinal Valendrea, the Vatican's Secretary of State,. Valendrea desperately covets the papacy, having narrowly lost out to Clement at the last conclave. Now the Pope's interest in Fatima threatens to uncover a shocking ancient truth that Valendrea has kept to himself for many years. To ask other readers questions about The Third Secret, please sign up. This is exactly what I am looking for in a novel! Good pacing, a compelling story about concepts that are mysterious and bigger than any one person, with interesting characters that do not get too bogged down in their own psychology. It will no doubt be hated by anyone who subscribes to organized religion, but for me, the intrinsic intrigue of all things Papal, (Vatican Politics), combined with the ever present pull of the supernatural makes this a winning combination. The writing is descriptive This is exactly what I am looking for in a novel! Good pacing, a compelling story about concepts that are mysterious and bigger than any one person, with interesting characters that do not get too bogged down in their own psychology. It will no doubt be hated by anyone who subscribes to organized religion, but for me, the intrinsic intrigue of all things Papal, (Vatican Politics), combined with the ever present pull of the supernatural makes this a winning combination. The writing is descriptive without being overwrought and too literary. The themes are clear without being wallowed in, and the frailties of the characters are explored without them feeling either like demons or angels. Just people. Believeable people caught up in some pretty amazing circumstances. The supernatural is enjoyable because it doesn't get cheesy, and the embrace of grey areas in the plot means that it never becomes a sermon. this uncovers more mysteries and then the pope dies - but he has comitted suicide. why? this is hushed up and one of the enemies of colin and the previous pope exerts all his authority to become the new one. one question - what happened if a cardinal at the conclave wanted to go to the loo?! I enjoy sweeping thrillers that involve a lot of characters and locations. Steve Berry has, for the past four or five years, been kind of in the middle of my list of liked authors for this type of book. The Third Secret jumped him up a couple of notches. I'm not entirely sure why, but this book seemed much better to me than the others of his that I've read like The Amber Room and The Charlemagne Pursuit. (Of which, I liked the latter quite a bit and the former not so much.) I think it was that th I enjoy sweeping thrillers that involve a lot of characters and locations. Steve Berry has, for the past four or five years, been kind of in the middle of my list of liked authors for this type of book. The Third Secret jumped him up a couple of notches. I'm not entirely sure why, but this book seemed much better to me than the others of his that I've read like The Amber Room and The Charlemagne Pursuit. (Of which, I liked the latter quite a bit and the former not so much.) I think it was that this book seemed better thought out from beginning to end. There were many more threads that started from the very beginning of the book and finally tied together into a single piece of cloth by the end. That's what keeps me excited and presses me to finish a book. This book is similar to Dan Brown's Angels and Demons in content. It surrounds secrets in the Vatican and a power hungry pope wannabe. I don't belong to an organized religion and I don't usually care to spend my free time studying/learning/whatevering one. It says a lot about a book about organized religion when I can get completely sucked in. Mr. Berry acknowledges that he was raised Catholic and has done considerable research on the secrets surrounding the visions at Fatima as well as the politics and inner machinations of the Vatican. He has crafted an exciting, albeiit wildly improbable, novel containing all sorts of intrigue including scandalous conduct by priests, blackmail and murder. Like Mr. Berry, I was raised Catholic and graduated from an all-boys high school in 1952. 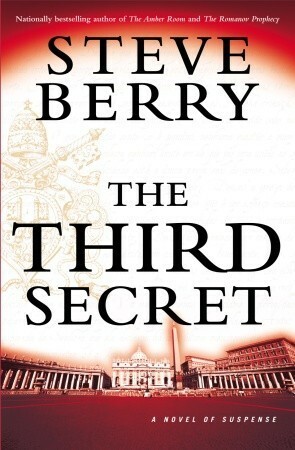 If I’d picked up a novel like this in the early fiftie Mr. Berry acknowledges that he was raised Catholic and has done considerable research on the secrets surrounding the visions at Fatima as well as the politics and inner machinations of the Vatican. He has crafted an exciting, albeiit wildly improbable, novel containing all sorts of intrigue including scandalous conduct by priests, blackmail and murder. Like Mr. Berry, I was raised Catholic and graduated from an all-boys high school in 1952. If I’d picked up a novel like this in the early fifties, I may not have even finished it. If I did read it to the end, I would have judged it too outlandish to be even credible. However, some sixty plus years later, it seems much less bizarre. The world’s knowledge of the Catholic church’s scandals and its slow progress to become more liberal and forgiving make the book’s story much closer to being possible. Typical potboiler stuff - missing any sense of true and genuine suspense and capped by a totally implausible ending. The three prophecies that three children received from the Virgin Mary at Fatima, Portugal in 19171 is regarded as one of the intriguing mysteries of modern Catholicism. Two of the secrets were revealed by Lucia Santos in 1941 – the first was a vision of Hell on earth, the second predicted a 2nd World War and the problems that Russia would encounter unless people prayed and dedicated themselves to the Virgin Mary. The 3rd and final secret was kept in a sealed envelope by the Vatican and only ma The three prophecies that three children received from the Virgin Mary at Fatima, Portugal in 19171 is regarded as one of the intriguing mysteries of modern Catholicism. Two of the secrets were revealed by Lucia Santos in 1941 – the first was a vision of Hell on earth, the second predicted a 2nd World War and the problems that Russia would encounter unless people prayed and dedicated themselves to the Virgin Mary. The 3rd and final secret was kept in a sealed envelope by the Vatican and only made public in May 2000, by the Vatican that revealed calamitous times ahead for the Catholic Church, which created a lot of interest and controversy. How could it do to something like the Fatima occurrence, which is so important to devout Catholics, should it come out that could mean the end of the Catholic Church?? The Third Secret is Steve Berry’s take on “WHAT IF THERE WAS MORE TO WHAT WAS REVEALED BY THE VATICAN? And as we come to expect from this author, the subject is incredibly well researched – so much so, that after a while, I was asking myself….what is fiction or not!!! The Vatican and it’s politics, intrigue, secrets, deceit, power hungry men who will stop at nothing to gain power, going as far as committing murder and destruction to ensure their goals. The ailing Pope’s Secretary, a priest that is doubts his beliefs and struggling with the deep feelings he has for a woman is soon entangled with a power plot inside the Vatican that takes him on a journey filled with danger and treachery. A fast-paced thriller filled with twists and turns, with some really bad and good guys and priests…………a total “spinning” journey that kept me turning page after page wanting to discover more about this Fatima phenomena. This review has been hidden because it contains spoilers. To view it, click here. Spoilers ahead!! *Heavy sigh* This one was a bit of a bummer for me. I think it's because I'm Catholic. Please note I'm not offended by anything that was presented in this book. Personally, I think it would be really convenient if Mary the Virgin appeared and said "Okay guys. Priests can marry, birth control is wonderful and the big guy upstairs is completely okay with gay people." Without getting too preachy, I have found that many Catholics would welcome these changes. In fact, we seem to be wo Spoilers ahead!! *Heavy sigh* This one was a bit of a bummer for me. I think it's because I'm Catholic. Please note I'm not offended by anything that was presented in this book. Personally, I think it would be really convenient if Mary the Virgin appeared and said "Okay guys. Priests can marry, birth control is wonderful and the big guy upstairs is completely okay with gay people." Without getting too preachy, I have found that many Catholics would welcome these changes. In fact, we seem to be working towards these things (albeit MUCH slower) with Pope Francis. So the "secret" was pretty lackluster and had a "is that it?" sort of feel too it. The characters are also pretty bland and it's a little tiresome to see that Catholic priests are always portrayed as scheming power hungry monsters who want to keep society in the dark ages. I also really HATED the way the book handled suicide largely because it goes against the beliefs of devoted Catholic followers (like the priest characters would be). The Catholic church has an extremely bleak view on suicide. Diehard believers claim that committing suicide is a one-way ticket to hell because it is in essence murder and shows a complete lack of trust in God. The idea that a priest would commit suicide because Mary the Virgin of all people told him to is pretty ridiculous. The idea that two priests would persuade another priest to commit suicide (which is pretty much murder) instead of facing social disgrace and that the priest would actually go along with it, is pretty unbelievable because he would more than likely believe that he was in for a fate worse than death. This book didn't have especially originally material. A lot of it reminded me of the concepts in Angels and Demons by Dan Brown. It felt like the author was trying to replicate Brown's novel but with worse pacing, flat characters writing and not nearly enough suspense. I enjoy a good conspiracy book, but only if they are well done. Fortunately this one falls into that category, and carefully blends what is known with plausible fiction. Set against the background of the Vatican and various reported Marian appearances, the story skilfully leads the reader in a gripping tale. The characters were well thought out, and the pace of the story didn't falter at all. My main disappointment though was that the ending seemed such an anti-climax. Just how much is real, and I enjoy a good conspiracy book, but only if they are well done. Fortunately this one falls into that category, and carefully blends what is known with plausible fiction. Set against the background of the Vatican and various reported Marian appearances, the story skilfully leads the reader in a gripping tale. The characters were well thought out, and the pace of the story didn't falter at all. My main disappointment though was that the ending seemed such an anti-climax. Just how much is real, and how much is fiction is for the reader to decide. For me one sign of a good book is does it make me think, and there was plenty to mull over with this offering. So, I'm a Christian and this book was sort of "out there" like the DaVinci Code. I did not think this challenged my faith in any way. The Scriptures are clear about Jesus and the Virgin Mary and when the story diverged from that I knew I was reading a work of fiction. I was able to assert supension of disbelief and enjoy the story. It was not my favorite Steve Berry novel however. He does such a wonderful job of weaving in history with fiction in his novels, and although the "sighting" portions So, I'm a Christian and this book was sort of "out there" like the DaVinci Code. I did not think this challenged my faith in any way. The Scriptures are clear about Jesus and the Virgin Mary and when the story diverged from that I knew I was reading a work of fiction. I was able to assert supension of disbelief and enjoy the story. It was not my favorite Steve Berry novel however. He does such a wonderful job of weaving in history with fiction in his novels, and although the "sighting" portions may have been factual, many other assertions were warped when it concerned Christianity (especially concerning priestly or pastoral conduct). I am a fan of the mystery/thriller genre, so the chances of me liking this book was really high. While it was well written and interesting, I think it lacked the quick pace needed for five stars. Best Description: A Sedated Dan Brown book. Good but no edge. I wasn't dying to discover the secret. Further, once I found out, I didn't get that "Ahhh" feeling. Worth a read but not the best. For an adventure novel this one was somewhat short on adventure. No real investment in characters because the author didn't really give us a character to care about. Also the stories final message came off as forced and heavy handed. Disappointing. As a catholic myself I had great expectation from this one. I might have a sadic part deep inside my soul which enjoys priest-gone-rogue stories, but this one touched me on levels I cannot describe. The story reaches into secrets and not so secret doings of the church, the inherited dogma we are still teaching our children after two thousand years. My father is the kind of guy who believes feverishly in the teachings of the theology he so loves. And I'm his opposite. I like to question every scr As a catholic myself I had great expectation from this one. I might have a sadic part deep inside my soul which enjoys priest-gone-rogue stories, but this one touched me on levels I cannot describe. My father is the kind of guy who believes feverishly in the teachings of the theology he so loves. And I'm his opposite. I like to question every scrap of text and meaning they try to fed us. The WHY bothers me a lot on a spiritual level and since I'm an advocate of science as well as of the church's teachings, sometimes answers tend to mix up. Colin is an exceptional character. He doubts, he questions. Even though he repents he feels the guilt eating him inside, like a tainted man who cannot bear the sainthood. I don't blame his decisions, he learned so much, experienced and his eyes has been opened. The secretary to the pope must find out what the children of Fatima were told in order to help preserve the Catholic Church. Really, really well done book full of intrigue and history and religion and action. I can't wait until his next book. MY LONG BLOG ABOUT THIS CONTROVERSIAL FICTION...!!! THE APPARITIONS OF VIRGIN MARY...!! In 1917 the Virgin Mary revealed herself to three peasant children in a great hollow bas MY LONG BLOG ABOUT THIS CONTROVERSIAL FICTION...!!! 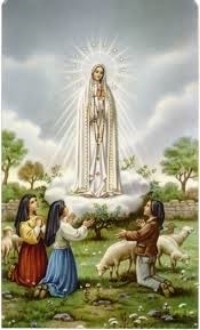 In 1917 the Virgin Mary revealed herself to three peasant children in a great hollow basin known as Cova da Ira, near the Portuguese village of Fatima. Jacinta and Francisco Marto were brother and sister. She was seven and he was nine. Lucia dos Santos their first cousin was ten. The Mother of God appeared six times from May to October,always on 13th of the month, at the same place at the same time. By the final apparition thousands were present to witness the sun dancing across the sky a sign from heaven that the visions are real. It was Her July visit that the Virgin told three secrets to the young seers. Lucia herself revealed the first two secrets in the years after the apparitions, even including them in her memories. Only Jacinta and Lucia actually heard the Virgin Mary convey the third secret. For some reasons Francisco was excluded from a direct rendition, but Lucia was given permission to tell him the third secret. Though pressed hard by local bishop to reveal the third secret all of the children refused. Jacinta and Francisco took the information with them to graves. It remained Lucia to be the keeper of the final third secret. In 1943, Her local bishop a man named Silva, asked her to write the third secret down and seal it in envelope. Lucia initially resisted first, but she wrote the secret and sealed it in an envelope. In 1957, the Vatican requested all of Sister Lucia's writings be sent to Rome, including the third secret. On its arrival Pope Pius XII placed the envelope containing the third secret inside a wooden box bearing the inscription, "The Secret of the Holy Office". 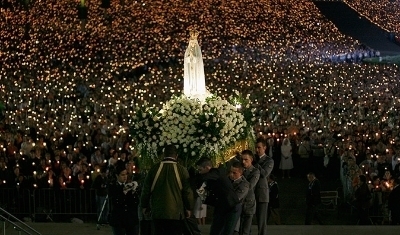 In 1960, the Vatican issued a curt statement pronouncing that the third secret of Fatima would remain under seal. Sister Lucia's handwritten text was replaced in the wooden box and deposited in the Riserva by papal order. Each Pope since John XXIII had ventured into the archives and opened the box, yet no pontiff ever publicly divulged the information. When an assassin's bullet nearly killed Pope John Paul II in 1981, he concluded that a motherly hand had guided the bullet's path. Nineteen years later in 2000, in a gratitude to the Virgin, he ordered the third secret revealed. To quell any debate a 40 page dissertation accompanying the release interpreted the Virgin's complex metaphors. Also, photographs of Sister Lucia's actual writing were published. The press was fascinated for a while and the matter faded, speculation ended. Few even mentioned the subject any longer. Only Clement XV for some unknown reason remained obsessed. In this little Bosnian village, during 1981 the first visions of Virgin Mary occurred to the first two seers-a brilliant ball of light in which stood a beautiful woman holding a baby. The next evening the two children returned with four friends and the woman appeared again, this time wearing a crown of twelve stars and a pearl gray dress. From then on Virgin Mary appeared many times to different selected one and gave the message of Heaven. Noted among them was Jasna, a thirty two year old who lived alone in the village. To her Virgin Mary gave for the last time, the important Tenth Secret, which Pope Clement XV, want to know for some unknown reasons. hidden by Vatican and some unimportant message was released to the world. During 1959, since Lucia's handwritten statement of the third secret was in Portuguese, the then Pope, John XXIII asked father Andrej Tibor to translate the statement in Italy, and he did accordingly. Father Andrej Tibor shocked by the the third secret of Mary released by Vatican bearing the cryptic mystery of a poem, wrote to Pope Clement XV, with a simple inquiry "Why does the Church lie.." in a letter with his evidence added to it . In order to learn the real fact, Pope Clement sends his Loyal Papal Secretary Colin Michener to Romania, where Father Tibor was serving orphaned children in an deserted Orphanage. Alberto Valendra is the present Secretary of State for Vatican . He is a cardinal and wants to succeed Clement XV,as the next Pope of Vatican by adopting whatever malpractice required to complete the process.Assisted by his ally, priest Paolo Ambrosi , by fixing listening devises all throughout the Papal Palace he is desperate to find the Pope Clement XV's efforts in discovering the unknown facts of the Third Secret of Virgin Mary. Cardinal Alberto Valendra wants Church return to its traditional roots. He wants Church to be man made, that priests should be man. The Priests should take a vow of celibacy. Abortions should be strictly banned. By becoming Pope, he wants to bring back Church back to its conservative traditions. While Clement want to fundamentally change the church to the present modern thoughts by bringing changes to the centuries old Church dogmas of faith. In order to keep Michener's under his direct surveillance, Valendra chooses Katrina Lew, a journalist and Michener's one time lover to travel with him and report to Valendra her discoveries about the third secret. Papal Secretary Michener's visit to Romania and his meeting with Father Tibor yields nothing. Tibor in his written message asks Pope Clement to do as the Virgin Mary said. Not to argue or ignore it, just to do as she said. Soon after this Pope Clement dies all of a sudden in his sleep, and Colin Michener discovers that Pope committed suicide to punish himself for disobeying Virgin's words. Pope bequeaths all his belongings to his secretary Michener. In a e-mail letter sent to Colin minutes before the death, Pope Clement requests Colin to clear the confusions prevailing regarding the third secret and to reveal the real fact to this world. After Pope Clement XV's sudden death Alberto Valendra becomes the Pope of Vatican by the Chosen name Peter II. The translator of Lucia's Portuguese, Father Tober was brutally murdered by Ambrosi at Romania . Annoyed by the turn of events , Searching the belongings of deceased Pope Clement, his secretary Michener learns the shocking fact the Valendra had already read the Third secret and removed the part of them, from the Vatican Archives during the reign of Pope Paul VI in 1978. Only five people know what was originally in the box. Sister Lucia,Pope John XXIII, Paul VI and Father Tibor and all are gone. Only Valendra remains, and now being a Pope he will do everything in his power to destroy Virgin's original secret if it existed. Considering the situations, the translator Father Tibor did a brilliant Act. After coping the entire two page third secret onto a pad,Father Tibor produced a two page translation.He gave Pope his original work, but later he noticed upon his pad was left the impression he had written. He took a pencil, shaded out the words, then traced them onto two sheets. One the original words of Sister Lucia, the other his translation. In an encounter with Pope Clement at the Archives of Vatican, Valendra burns the sheet of sister Lucia, before Pope Clement. Knowing the evil motive of Valendra, to destroy the translation after his succession as Pope, Clement sends this translation sheet to his childhood friend Irma Rahn, living in Bamberg Germany. Followed by deadly hit man Paolo Ambrosi, papal secretary Colin Michener with his friend Kate Lew travels to Bamberg, (Germany) finds Irma Rahn, and the third secret delivered to her by the deceased Pope and brings it back to Vatican. To his surprise Colin Michener discovers that the message delivered by Virgin Mary to Sister Lucia of Fatima and to Bosnia's middle aged woman Jasna, were identical in content- and the common denominator was the messenger..Mary the mother of God. Woman stand high in the eyes of God. Their services has too long been forbidden by the Churches. To be called to the service of Lord is not a masculine endeavor. Woman can be priests. Abortion and Homosexuality should be decided by themselves, and not a sin in the eyes of God.."
Author Steve Berry, along with the interesting but controversial plot, wonderfully narrates the Church's procedures and ceremonies followed at the time of Death of a Pope, the Papal procedures followed during the conclave, (( the papal election ))conducted for selecting a new Pope. Author, makes the reader travel to the various places of Europe, namely Fatima of Portugal, MEDJUGORJE of Bosnia, Bamberg of Germany and to St.Peter's Basilica Vatican, with his interesting and informative tidbits about the Church. The Third secret skillfully combines Vatican insights, old fashion thrills, intrigue, murder, ambition and retribution..!!! Due to the massive material of information surrounding the Catholic Church, the prestige positions of the priesthood, and the electoral function of the papacies, I am going to forgo a summary. I urge you to read the other reviews, or the excerpt from the book itself, to explain the plot and characters. There were just too many. I had picked up and started on 3 books before I sunk my teeth into this one and the process was frustrating. In my old age, I'm feeling much more fickle about what I'm re Due to the massive material of information surrounding the Catholic Church, the prestige positions of the priesthood, and the electoral function of the papacies, I am going to forgo a summary. I urge you to read the other reviews, or the excerpt from the book itself, to explain the plot and characters. There were just too many. I had picked up and started on 3 books before I sunk my teeth into this one and the process was frustrating. In my old age, I'm feeling much more fickle about what I'm reading these days and find myself having to be in-the-mood-for a particular story or plot. The writing style seems to have some part in it too. Some days I can handle a complex read much like this one or I might need something easy on the eyes and brain such as the young adult fantasies I've chosen as of late. See? Fickle!! To say that I was surprised to so thoroughly enjoy this papal thriller (yes, you read that right - a book about the pope that qualifies in the suspense thriller genere) is an understatement. I was interested but didn't think it would take me on the whirlwind of Virgin Mary visions going back centuries, multiple popes meeting their maker and a cloak and dagger, traveling across Europe mystery over documents and legacies to rival any John Le Carre story. This was both a pure "church and faith" sto To say that I was surprised to so thoroughly enjoy this papal thriller (yes, you read that right - a book about the pope that qualifies in the suspense thriller genere) is an understatement. I was interested but didn't think it would take me on the whirlwind of Virgin Mary visions going back centuries, multiple popes meeting their maker and a cloak and dagger, traveling across Europe mystery over documents and legacies to rival any John Le Carre story. This was both a pure "church and faith" story with some mystery ala Dan Brown, and a really great "how the politics of becoming pope works" historic novel that was really interesting. Then, the big secret reveal at the end was pretty terrific, particularly in this day and age of the church covering up abuses and continuing to prop up intolerance and bigotry in the name of religion - Berry definitely does not subscribe to that type of church leadership and paints a great, if fantastical, way of showing neither does his god. Definitely recommend to most any reader as even an atheist like me highly appreciated the whole story. The last secret was just wierd. Ending was just too much. I loved the book though up until then. Berry schrijft verhalen die fantastisch goed in elkaar zitten. In dit boek zijn veel feiten en waargebeurde situaties verweven. Oi, wat een gekonkelefoes daar in het Vaticaan! Being a Steve Berry fan, I've been looking for this book for ages so I was ecstatic when I was finally able to buy a copy. I guess my eagerness for the book built up too much expectation and I ended up being disappointed. Don't get me wrong, I liked the book. Liked, not loved. And I was expecting to love it. Maybe because I expected too much. I love reading about fiction tackling religious controversies, so the premise of The Third Secret immediately got me the moment I read about it. Overall, the Being a Steve Berry fan, I've been looking for this book for ages so I was ecstatic when I was finally able to buy a copy. I guess my eagerness for the book built up too much expectation and I ended up being disappointed. Overall, the story was nice, although some bits of it was kind of slow-paced (I was used to fast-paced Berry novels). The characters were likable enough, especially Michener. I, however, did not grow to like Katerina Lew. Maybe it's her personality... she wasn't exactly a picnic. The Vatican politics was interesting. It showed how even inside the Church, corruption, deceit and lust for power existed ( After all, we're only human), and I believe cases like that truly exist in modern times. The power-play between Valendrea and Ngovi was subtle but I must admit I was curious on what Ngovi was going to do. The greatest disappointment I had with this novel was probably the Third Secret itself. Throughout the entire book, this interest, curiosity and mystery was built up around it and its contents... I guess I expected something more from the final revelation. Not that it wasn't earth-shattering, but, I don't know... it just didn't make that much impact. It didn't live up to the hype built by the book. At the end of the day, I still enjoyed this novel. I'm quite interested on how Ngovi's new Vatican will be like. Gosh, I can only imagine the turmoil the changes he's gonna make will create. I even grew to take pity on Valendrea on his final chapters when he was about to take the pills. That last POV chapter was quite insightful on his character. He wasn't truly that evil. I kind of felt bad for him because I saw how much he really wanted the papacy, how hard he's worked for it, planned for it, and when he finally got it... well, all those years went to nothing. I guess that's his karma. Am I still a Steve Berry fan after reading this? I guess I still am. Steve Berry must have a deal with Google or something because all of his books make me want to go get on the computer and do some research! Once again, the book was very well researched and you can tell that by the amount of facts that are in The Third Secret and how amazingly accurate most of it was. I love how he weaves historically significant (and mostly unknown) pieces of the worlds past into a fictional story. Okay, down to the nitty-gritty. Good book? Absolutely, one of my favorites? Almos Steve Berry must have a deal with Google or something because all of his books make me want to go get on the computer and do some research! This was my third Berry read, and in my mind, the best of them. Maybe it's just because I love Vatican thrillers, but the intrigue behind this one was a cut above the rest. While I don't look to Steve Berry for a "believable" story, I think this one came closest, at least within the context of the world he created. If you like this book, I'd also recommend William Tyree's The Fellowship (Vatican conspiracy), Fallen Angel by Daniel Silva (some good scenes in the Vatican) and if you're one of the This was my third Berry read, and in my mind, the best of them. Maybe it's just because I love Vatican thrillers, but the intrigue behind this one was a cut above the rest. While I don't look to Steve Berry for a "believable" story, I think this one came closest, at least within the context of the world he created. If you like this book, I'd also recommend William Tyree's The Fellowship (Vatican conspiracy), Fallen Angel by Daniel Silva (some good scenes in the Vatican) and if you're one of the 5 people in the world that have not read it, Dan Brown's Angels & Demons.